We are in the final stages of the season and most of the teams are still fighting for their goals. Title races, chases for a European place or battles to maintain the category in which any detail can make the difference. 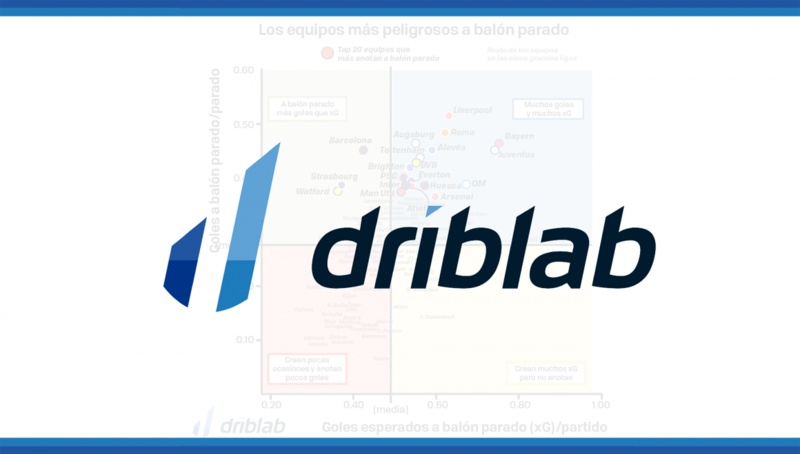 In Driblab we wanted to review the set-piece data, one of the factors that can most influence the ‘finals’ that are seen day after day and that, as we will analyze below, can decide who wins and who does not. As we will see below, one of the most obvious examples to explain the set-piece is the pulse between Liverpool and Manchester City for the Premier League. 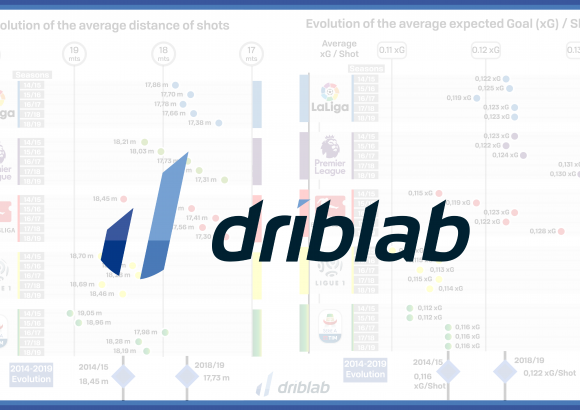 This is a graphic in which we first assess the number of set-pieces per match (five best leagues) where a surprising Liverpool scores more than 0.51 per game; followed by a Roma, who excluding set pieces data they would not be chasing a European place; and Bayern that, as we saw on the last matchday, unlocking matches with the great aerial play of their defenders and strikers. 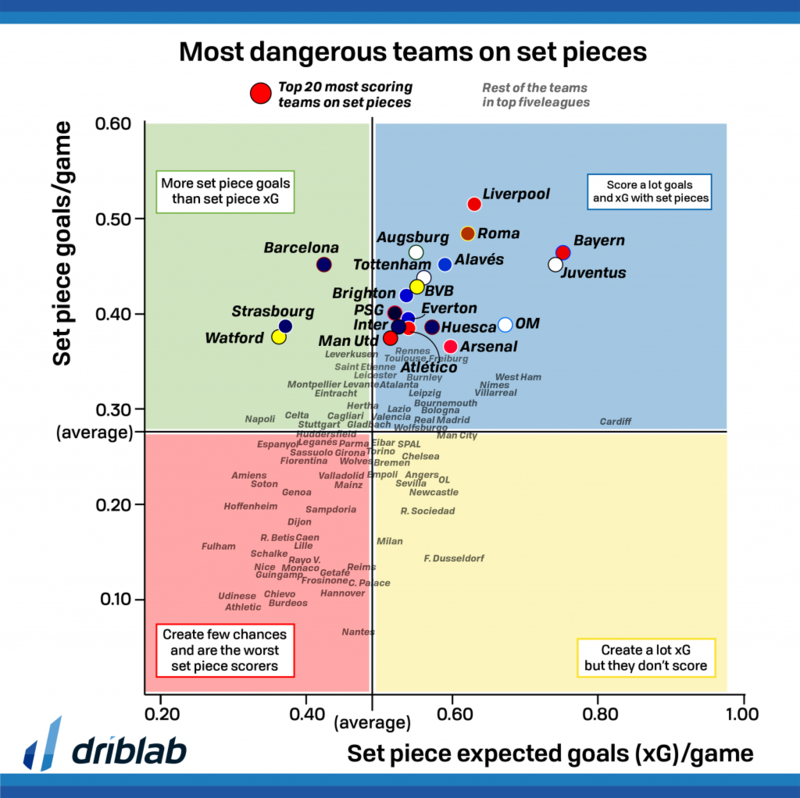 In the other value, there is the expected goals generate by set pieces per team (five best leagues), this way we will see which are the most dangerous teams and the effectiveness of these clubs. The highlighted teams in the graphic are the top 20 scorers on set-piece per game. 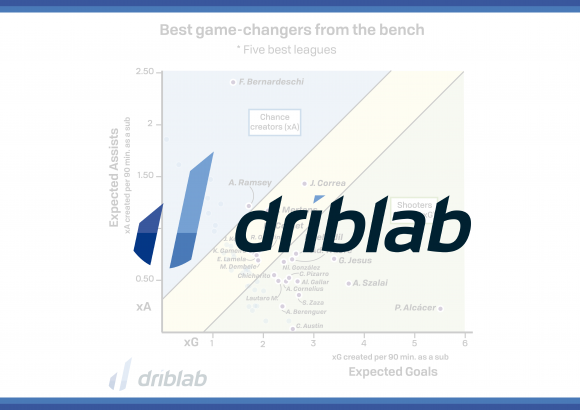 It emphasizes the importance of these actions in the Premier League: 24% of the goals are from set-pieces and the average of the league is that their teams generate 0.52 goals expected per game on set-pieces, this explains very clearly that seven of the twenty top scorer teams in this metric are English teams. In fact, in the five major leagues the most dangerous set-piece chance creator is Cardiff City with 0.81 xG set-piece per game but the lack of reliability defining makes them only score a third of what they generate on set-pieces. As we can see with examples like Alavés, the importance of the set-pieces is spectacular. 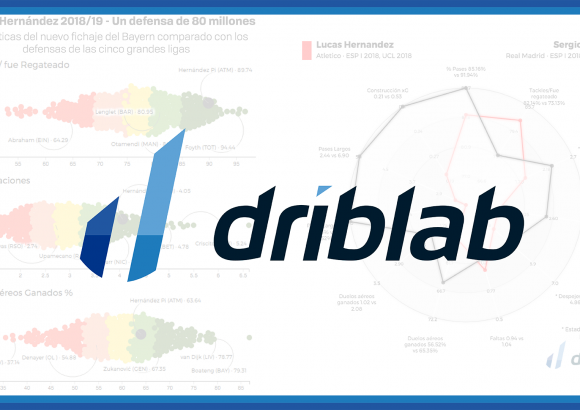 That dominance in these actions stands out when we see that thanks to the strategy on this chances Abelardo’s team have scored 45% of the goals this year and they are pursuing for a European spot. 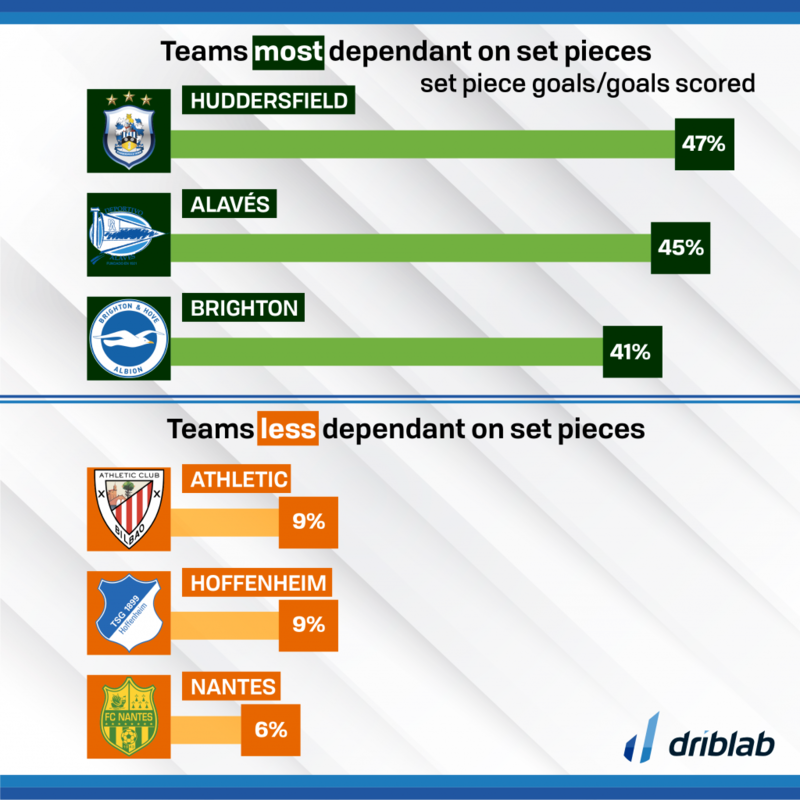 We have checked which teams depend more on these actions to score seeing the % of set-piece goals over the total. The surprise is huge when we see that a team that has historically dominated these actions as Athletic Club is now one of the least scored in this way. Without a doubt, the Premier League is the league in which we can see the biggest influence of the set-piece and not only because of how their teams stand out but also to explain how Liverpool is holding the high Man City’s pace of points per game: Klopp’s side scores a set-piece goal every two games (0.51 per day) while that figure in Man City dropped to (0.28). In a race where every goal can be decisive for the title, dominating set-pieces can make the difference.